I always nuy this product. Been using this for Many years. First thing I take in the morning. Wouldn`t be without this great Vitamin. Well you have to know what If you have a problem with digesting iron, upset stomach, vomiting, nausea than this is the multi vitamin for you. It is geared towards the over 50 crowd but as a woman who is not past child bearing years this is a great option. It digests easily. No stomach upset, no burping from the iron. I am a woman who had a stem cell transplant, a blood cancer, at 42 years old and had to start taking a multi vitamin that did not have iron. This was the product that was suggested by my oncologist and by my cancer specialists at the Seattle Cancer Care Alliance. It has worked great. I have the energy I need to get me through the day. 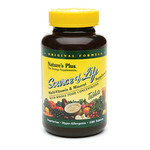 I have the vitamins needed to keep me healthy and not catch as many illnesses. I do not have any side effects from taking the Centrum Silver. I do have to take it alone and not with my prescription thyroid medication as it makes the medication less effective, but a 3 hour gap works well. I would suggest this as a multi vitamin to woman of all ages who have iron issues. 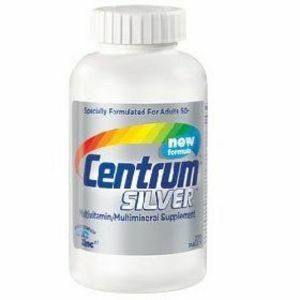 Centrum Silver works for me! It seems to help keep me going! It's kind of hard to know if a multi-vitamin is working, but I think this one does pretty well. I donate blood plasma twice a week, and I was having a hard time keeping my iron levels high enough. The nurse there suggested that I start using a multivitamin, and she suggested using Centrum. Two weeks after I began taking the pill regularly, I was able to donate again. Was it the multivitamin? I also have some trouble keeping my B vitamin levels up. One of my sons is a vegetarian, so we don't eat that much meat. So I really watch our Vitamin B levels. I think this product probably helps with everything. If you eat as best you can and exercise, then adding a multivitamin just helps make sure to balance everything out. As we get older, I know we don't absorb nutrients as well. So taking Centrum just helps cover all the bases. I seem to have a little more energy if I'm taking this pill, eating right, getting enough sleep, and exercising. My doctor suggested that I start taking a multivitamins. I was just turning 51 and she was concerned about my calium and vitamins D . She said at my any age it is a good idea to take a Multivitamins. I t is hard for many in that day and age of microwave and fast food to get the proper vitamins nd miners. 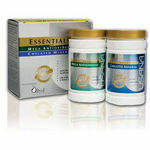 She suggested Centrum Silver as a good low price Mulitvitamins aimed at those of us over 50. I can not say I feel any big difference but maybe it is keeping me from getting sick and helping keep my bones healthy. It certainly can't hurt. It would be far worse not to take them and end up with problems then to take the chose and few bucks to possibly lessen or prolong any vitamins deficiencies or bone issues. After all she is a doctor and knows more about that stuff than i do. Other brands might be just as good but since I started using this one I am just going to stuck to it. IT is at most stores I shop at so easily available. 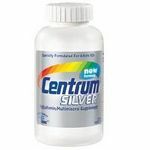 Cost is reasonable so I am happy just to stick with Centrum Silver vitamins. With work and my personal life I get lots of exercise and recognize that to maintain a good energy level, a good multivitamin is necessary in addition to a well balanced diet (which I'm kind of slacking in currently). After looking at various brands, I finally decided on these, which I have been taking for years, not realizing that they were formulated for people over 50 which I am 22. But vitamins are vitamins and these had the best formula from what I could find and found in literature. This multivitamin has all the standard vitamins as well as various minerals that you will not find in other formulations. There are some that come close to the amounts of vitamins and minerals that need but, not by much. Also as an addition you just have to take one tablet a day, as opposed to some other multivitamins where you have to take up to 7 tablets a day to get what you need. A Little pricey compared to instore brands. Not bad but expensive. It contains the same general nutrients found in similiar store brands plus some added nutrients but that hardly justifies the price differance. It did however haver some ingredients in dosages that I prefer so I am willing to pay the extra money. I had been taking other brands of vitamins and one day while needing to buy more I stopped to look at Centrum and compared it to the others that I had been taking. I decided to give it a try since it looked like it would be the only vitamin that I would need to take. A little expensive but overall cheaper than the mix that I had been taking and still provides what I needed. 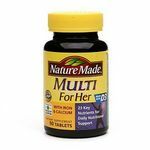 This multi vitamin is great and I have compared it to many others and it has the highest amount of vitamins and minerals compared to others. I sometimes get an upset stomach with large amounts of vitamins but this one I did really well with and it really helped my immune deficiency by taking one of these daily with my breakfast. 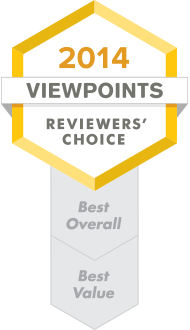 I highly recommend centrum vitamins and even the other vitamins that say compare to centrum multi vitamins are not as good quality as centrum. I am amazed how much better I feel now that I take a vitamin every morning. I can usually get centrum on sale or buy one get one free or half off and my stores always have the centrum vitamins so I don't have to worry about not ever having my vitamins and can purchase them at a good price and still have an excellent quality with all the vitamins and minerals I want and need in one pill that I only have to take once a day!